Online reports say that UFC 123 will head its way to Chicago. However, it seems that it's not yet likely to happen as the Ringling Bros. and Barnum and Bailey Circus will make its annual Chicago tour at United Center on the same day. 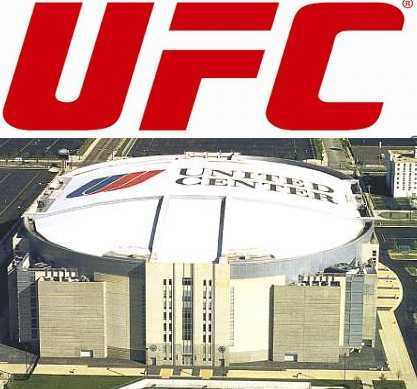 Initial reports say that the UFC 123 will take place at the Chicago United Center on November 20. However, UFC Vice President of Regulatory Affairs, Marc Ratner, rectified the published online reports. According to him, those reports are not accurate and there’s no decision from the promotion as to where the venue of the event will be. But a decision will probably be released next week once the NBA official schedule is out. The United Center is home to the Chicago Bulls and Chicago Blackhawks. Though both teams will hit the road on Nov. 20, the Ringling Bros. and Barnum and Bailey Circus will be in town on the same date. On the other hand, the Allstate Arena is another feasible candidate for the UFC, but the promotion was specifically targeting the United Center. Ratner also added that the proximity of the venue is also a factor in choosing for the next Chicago event. The United center is also favorable from an arena capacity standpoint, because it can hold about 3,500 more people than Allstate Arena. The promotion is also looking for a new market, aside from the market it has been to in the past. Events for the rest of the year is all booked up, except the November 20 match headlined by former light weight champions Quinton Jackson and Lyoto Machida. The UFC will return to the Midwest in Indianapolis on September 25 with UFC 119. UFC 120 is scheduled for London on October 16, followed by UFC 121 in Anaheim, California on the 23rd. UFC 122 will be in Germany on November 13.